Minimizing Pores with Fractional Laser. Anyone have experience doing a laser treatment before? Me, this will be my very first time ever experience. All thanxs to Premier Clinic for giving me a lifetime opportunity to experience it. Wondering why I need a fractional laser treatment? 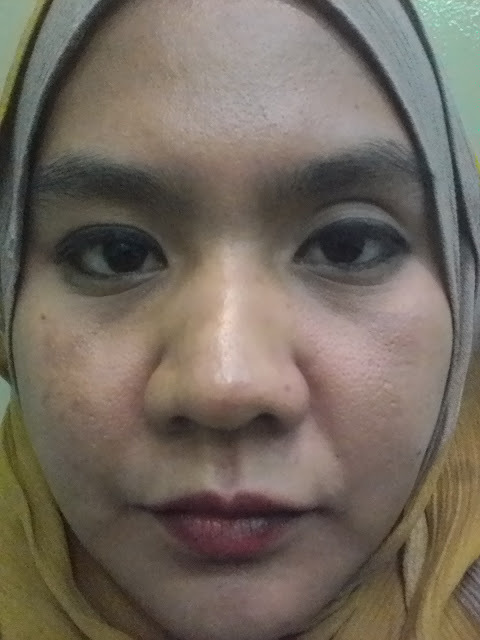 Yup, I would love to minimizing my big pores after so many product I try, it failed to be smaller. First and foremost I would love to thanks my sister who inviting me to join her with the session and thank you also to Premier Clinic who giving me opportunity to try one of their specialty on aesthetic treatment. So first let me introduce you with Premier Clinic. Laser Treatments, Botox, Fillers, Platelet Rich Plasma (PRP), Skincare, Chemical Peels, Silkpeel Dermal Infusion, Mesotherapy, Skin Whitening Treatments, Thread Lifts, Radiofrequency Fat Loss, hCG Weight Loss, Weight Loss Medications, Hair Loss Treatments, Stem Cell Therapy. 1. Well qualified, experienced doctors and staff. 2. Competitively priced without sacrificing quality. 3. Comprehensive range of aesthetic services. 4. Emphasis on safety and excellent results. 5. Personalised, complimentary free consultation. My appointment that day start with a consultation process with the Dr who will be in charge for my procedure that day. Dr Kee Yong Seng who was to perform the procedure to me that day also have his own blog which you can follow here. You can check more information about him and his specialties there. During the consultation, Dr.Kee gave me to option to choose from a Fractional Laser treatment or a Medlite C6 Laser. 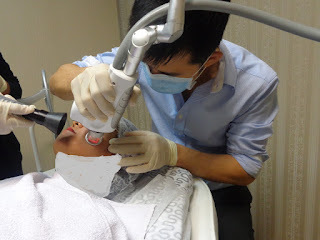 Base on my pores problem that have been there for more than 5 years Dr.Kee suggest me to do the Fractional Laser treatment. One because the result from the Fractional Laser are more efficient than the Medlite C6 eventhough it will cause me a downtime period. After that, Aina applied a numb cream to my face and leave it there for about 5 minutes. 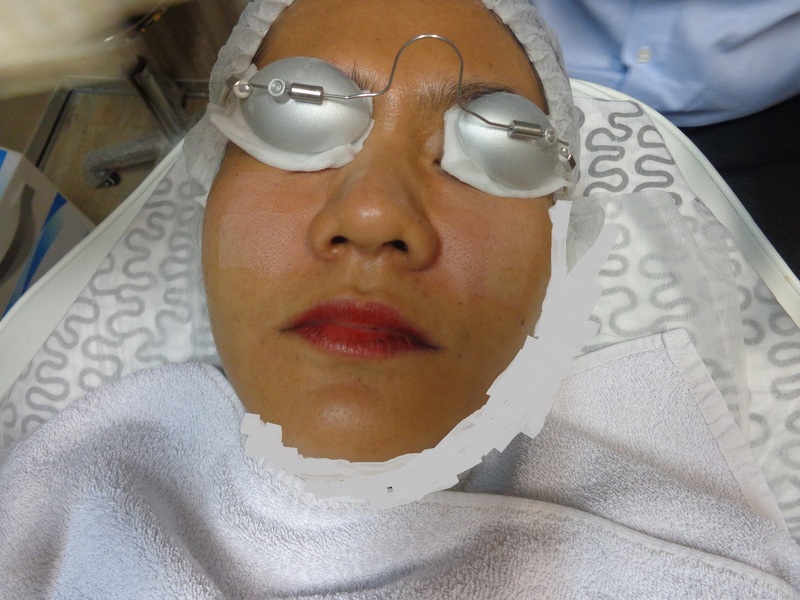 The numb cream were apply to reduce the pain during the laser treatment. I felt numb on my face and lips after that. The actual laser only takes 5 minutes to do. It is an simple and very safe procedure. The skin would be slightly red for 3-4 days. You can apply makeup or concealer if you wish to. You can see the marks after the laser treatment above right? And afterwards, Aina clean off my face and then I was put under LED Phototherapy machine for a 15 minutes light therapy. 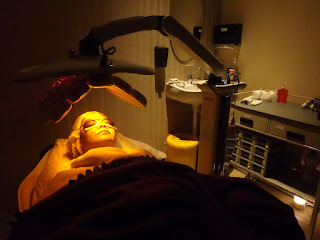 This light therapy is for faster healing process and skin rejuvenation. It felt a little warmer during the session. On the following I do go to work and got so much attention about my face..haha..whatever! On day 4, the dead skin start to peel of more and completely removed on day 6. My latest skin look like..
After two weeks of the treatment, my pores absolutely look more smaller and please ignore the mark because of it,maybe because I did peel of my dead skin on the fourth day, and it leave the mark there..huhu.. but its okay, I'm sure it will be gone soon..
You actually need to wait at least 1 month in between laser sessions so that the skin can heal. The results are permanent. It is very safe for all skin types. Cost start from RM1800 per session for fractional CO2 laser for the whole face and partial part charges will be at RM 500 onward. If you do 5 sessions, you get 1 session free. You would need 6 sessions to get improvements. However, even if you can only do 1 session, there will still be some slight improvement. 31, Jalan Wan Kadir 2,Taman Tun Dr Ismail, 60000 Kuala Lumpur, which is on the same row as Maxis & Pizza Hut. *Free parking is available at our doorstep, which is available on a first come first serve basis. For additional car parks, you can park at the TTDI market just behind the clinic at affordable price and the TTDI market car park is only 1 minute walk to the clinic. 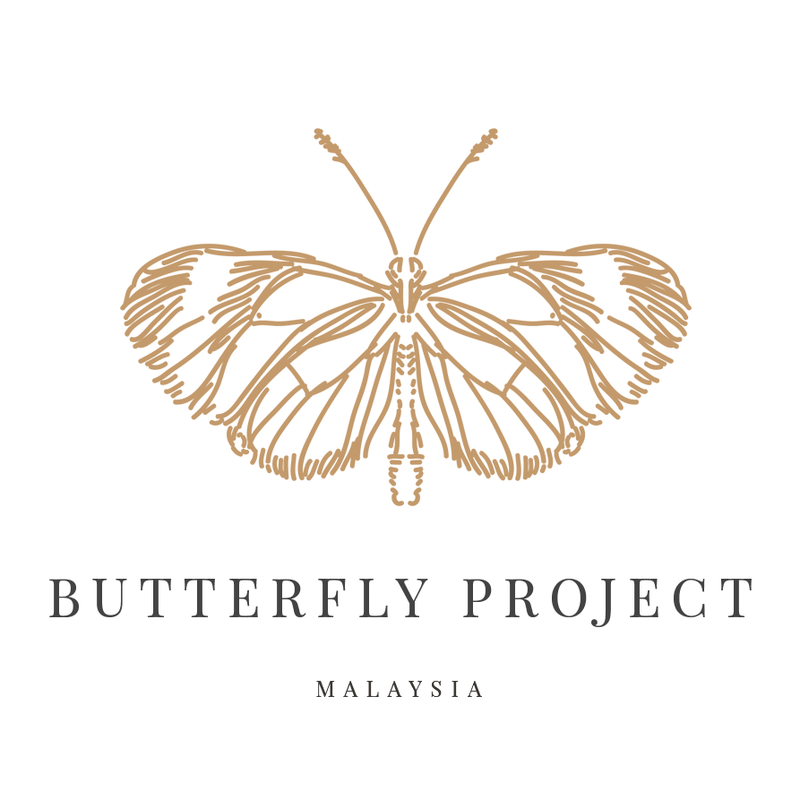 40, Jalan Telawi, Bangsar Baru, 59100, KL. Jalan Telawi is next to Bangsar Shopping Village mall. It's same row as Post office and next to Raj's Banana leaf mamak stall. 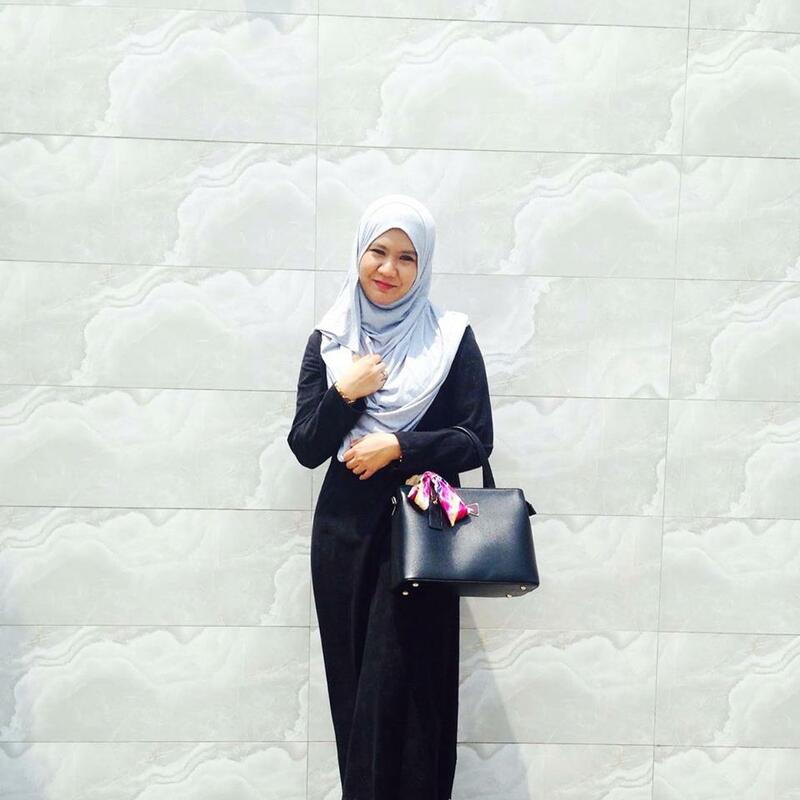 skt cam nak nangis time tu..huhuhu..nak cantik punya pasal kan..mcm2 hal..